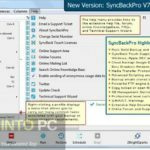 ExtraBackup Free Download Latest Version setup for Windows. 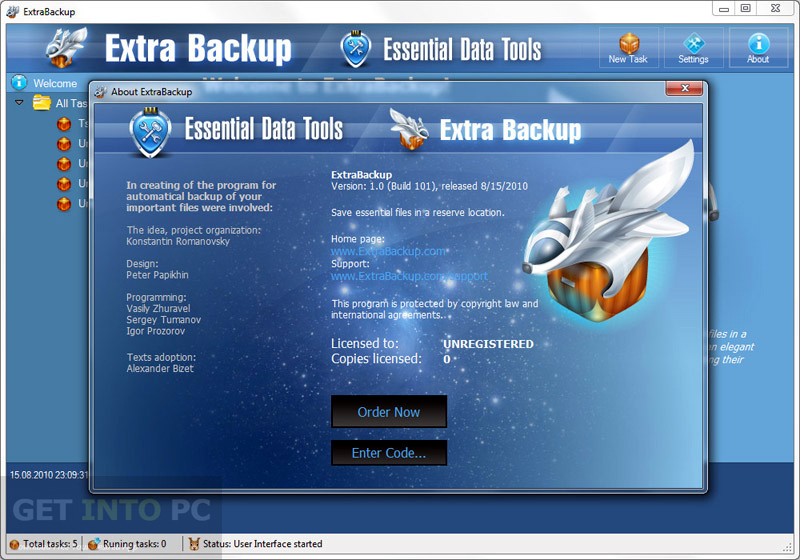 it is full offline installer standalone setup of ExtraBackup for Windows 32 bit 64 bit PC. 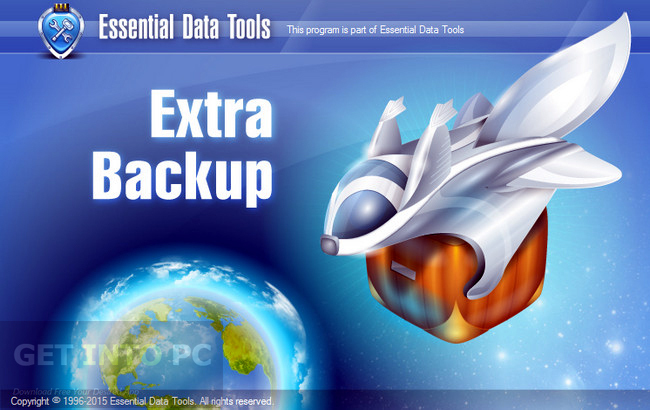 ExtraBackup is an application which can save your files in HDD, LAN, Flash Drive or FTP as backup and then recover them whenever needed. You can specify the source and destination locations and also set the frequency upon which you need to copy your content. 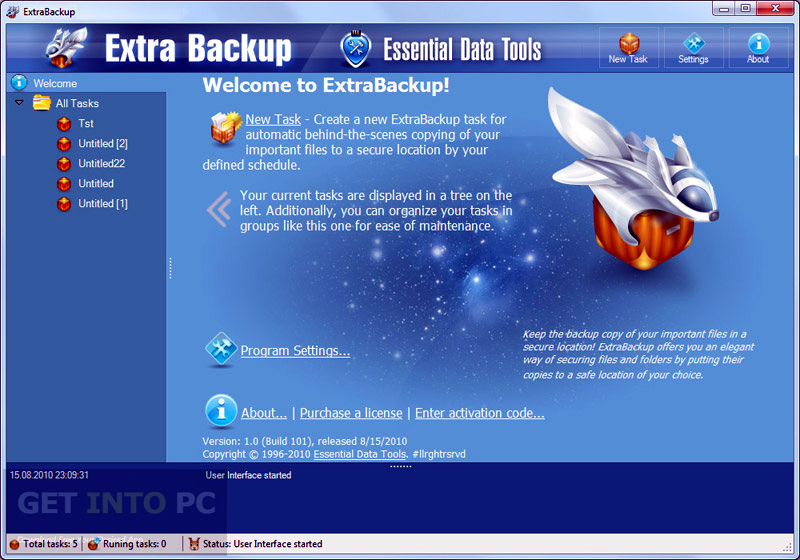 ExtraBackup will monitor the source files if they need changes and then copies the files to their specified locations. You can compress the size of the files which you need to backup as the program features ZIP compression. Password can also be set on your backup in order to prevent from any illegal access to the files. You can schedule the backup task from Microsoft Task Scheduler. 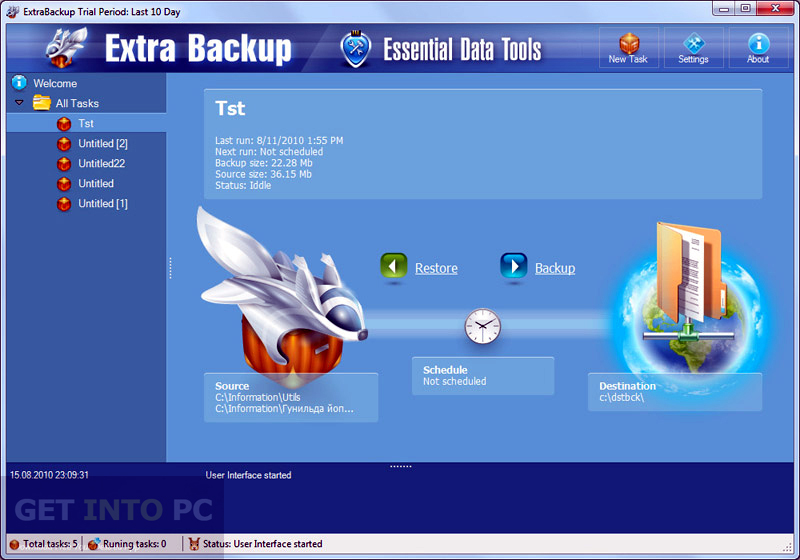 ExtraBackup has got a very simple user interface and anyone with any level of computer knowledge can utilize it to its maximum. 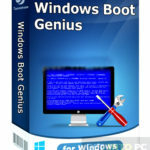 The program supports all modern versions of Windows. The program is multilingual and you can change the language of interface at your will. Below are some noticeable features which you’ll experience after ExtraBackup free download. 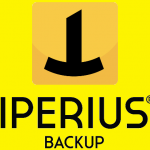 Can create backup for your important files automatically. Can compress the files you are backing up. Can set password on your backup. Can schedule the backup process. 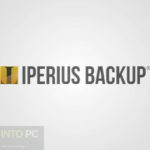 Before you start ExtraBackup free download, make sure your PC meets minimum system requirements. Click on below button to start ExtraBackup Free Download. 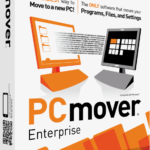 This is complete offline installer and standalone setup for ExtraBackup. This would be compatible with both 32 bit and 64 bit windows.